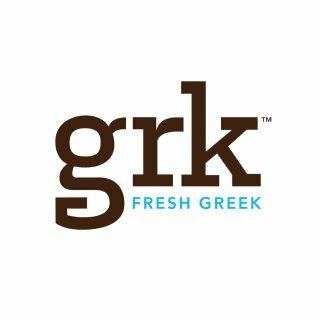 GRK Fresh Greek is excited to announce the opening of a third location in Washington, DC at 1000 F Street, NW in Penn Quarter. The downtown location joins GW District House (2121 H Street, NW) and Golden Triangle (1140 19th Street, NW) locations in DC, as well as four locations in New York City and four restaurants in Dubai and Qatar. As part of the opening, GRK will offer free yeeros from 11 AM to 1 PM on opening day, Thursday, March 29. GRK is known for their modern take on Greek classics. 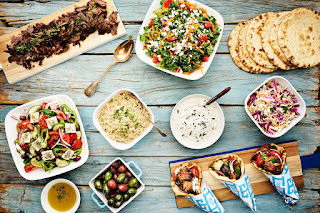 The GRK yeero includes traditional marinated meat, roasted and wrapped in a house baked pita or served on a plate with tomato onion and choice of tzatziki. Frozen or fresh Greek yogurt offers a protein packed breakfast, snack or dessert served with unique toppings like rose petal jelly, toasted almonds, or pastel sesame honey bites. Seasonal specials include spanakopita and baklava. Spanakopita is an authentic spinach and feta cheese pie with leeks, scallions, dill, and olive oil baked in house every morning. Chopped walnuts and Greek honey are layered between 20 sheets of filo dough to make an authentic dessert that can be served over GRK’s frozen yogurt. Recently added to the menu, grillers, made from authentic beef or chicken, mixed with fresh herbs and spices and grilled against an open flame. Meatball, chicken souvlaki or portobello grillers are available in a pita or on a plate. Another newcomer is the orzo bowl, a fresh take on Greek orzo served in a roasted tomato sauce with feta. 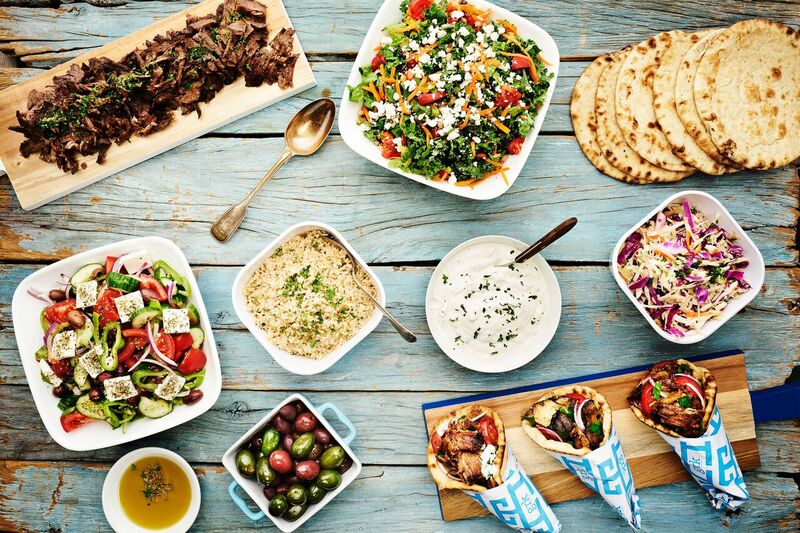 Salads and sides round out the menu while greek sodas and Tuvunu Greek mountain tea offer the perfect compliment. For more information, please visit www.grkfresh.com, and/or follow the team on social media @GRKFresh. 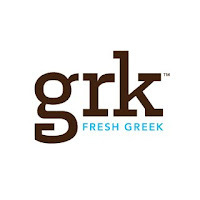 In 2009, the concept of GRK Fresh was created to fill the void in the market for a high quality, authentic and modern Greek fare. The concept behind GRK Fresh was born around the Yeero (a term coined from the phonetic spelling of the word “gyro”) as the focal point. Three years were spent developing this concept before opening the first “fresh-casual” Greek restaurant in September of 2012 in the flourishing Financial District of New York City. Today, GRK Fresh has locations in Manhattan, Washington, DC, Dubai, and Qatar, with additional expansion plans underway globally.